“Disfigured Myth: The Destruction of London in Postmillennial SF Film”, Foundation 122, pp. 122-32. There is a moment in Rob Bowman’s Reign of Fire (2002) when the hero, Quinn Abercromby (Christian Bale), climbs a wall from a river and gazes across at a semi-destroyed Palace of Westminster and says, ‘Well, this town’s gone to Hell.’ It is not the only landmark to have survived several decades of destruction: Tower Bridge has also made it through. 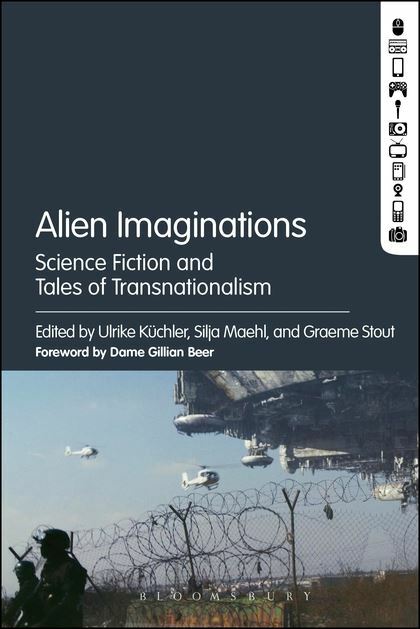 This article explores the symbolism and meaning of such landmarks, drawing upon the ideas of Charles Peirce, Roland Barthes and Sigmund Freud, within a number of recent British science fiction films: Reign of Fire, 28 Days Later (2002) and its 2007 sequel, and Children of Men (2006). To already indicate the instability of a British identity that these films work to prop up, only 28 Days Later is a fully British production whereas the others are co-productions. The director of Reign of Fire is American, of 28 Weeks Later Spanish, and of Children of Men Mexican, but they all feature a British-born star (although the protagonist of 28 Days Later is Irish-born). This is a version of the paper “London Death Drives” I gave at the Worldcon in August 2014, fleshed out and theory-enriched. It strikes me that there are a couple more films that could also be included here (I watched Doomsday (2008) and Flood, but neither quite fitted in the word count) and I’m sure I’ll return to British sf film soon. 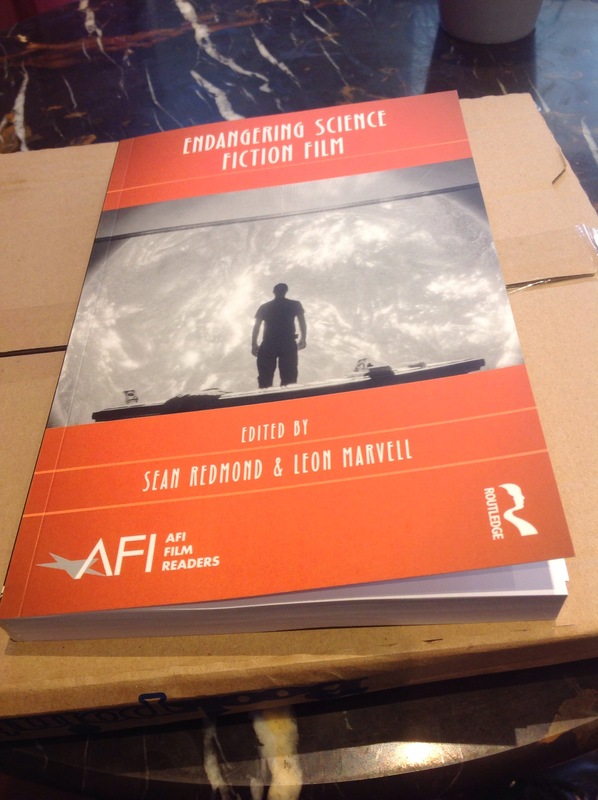 May be we are set in our ways — I note here I am still in the Freudian paradigm with the uncanny and the death instinct — but note also the importance of Tom Shippey’s chapter, “The Fall of America in Science Fiction”, in Tom Shippey, ed. Fictional Space, (Oxford: Basil Blackwell for The English Association, 1990), pp. 104–32. That Shippey collection was some of the first serious sf criticism I read and it influences me more than I usuallly realise. There is a moment in a review of District 9 (Neill Blomkamp, 2009) when Joshua Clover anticipates that the film will be ‘a neat allegory of apartheid, with the marooned race of repulsive and sad-sack aliens standing for the dispossessed’ (2009: 8). Similarly, Eric D. Smith suggests that the film ‘at first seem[s] an allegory for the suspension of constitutional law during the officially declared South African State of Emergency in the latter days of apartheid policy (1985-1990)’ (2012: 149). In this essay I want to map District 9’s representation of inter-species hybrids within the complex situation of apartheid-era South African interracial relations and discuss some of the issues surrounding science fiction as allegory. I will consider “race” as being an ideological category and, following Julia Kristeva’s notion of the abject, a psychological construction that nevertheless has a material existence. I will be posing the question of to what extent District 9 is itself racist. At its best, SF cinema is an allegorical site that invites the audience to safely examine and reflect on long-standing social issues in an unfamiliar setting, providing the possibility of viewing them in a new light. At its worst, the process of allegorical displacement invites audiences to affirm racist ideas, confirm racial fears, and reinforce dubious generalizations about race […] without employing overt racial language or explicit imagery. It’s a dangerous ploy. The episode of Star Trek: The Next Generation (“Angel One” (25 January 1988)) that used gender to explore Apartheid is a case in point. Ouchy. There was a point in writing this chapter where I hit a wall and needed something more — I confess to reading the chapter on race in Adam Roberts’s Science Fiction (2000) and the light dawned. I typed a keyword into the library catalogue and two articles on District 9 were the top results. I swear they had not been visible before. From there, thankfully, it flowed. Oddly enough, on the train journey to and from Eastbourne I read Nnedi Okorafor’s Lagoon (2014), which is, among other things, a response to District 9 from a Nigerian perspective. I shan’t blog about the novel for now, but I know I will come back to it. Another chapter in the collection, I think Bianca Westermann’s “Meeting the Other: Cyborgs, Aliens & Beyond”, also discusses District 9 and comes to different conclusions, so I will be very interested to read that.